Assam Electronics Development Corporation Limited (AMTRON) invites applications from eligible candidates for engagement as Technical Manpower (Information Technology) on contract basis in various District and Sub-divisional Courts of Assam under 14th Finance Commission Grants. The employment is purely contractual in nature and the terms of contract shall come to an end on 31st March, 2020. Interested and eligible candidates may apply online from the same, through the official website of the Corporation (www.amtron.in) from 07.12.2017 to 16.12.2017. Experience: 2 Years experience software development in PHP/ Java and Postgresql/ MySQL environment, Android and IOS Mobile App development, Technical Troubleshooting & Support in Hardware/ Software implementation. Qualification: B.C.A or B.Sc. (Physics/ Mathematics) with 1 year Post Graduate Diploma in Computer Science/ Applications or DOECC ‘A’ Level or Diploma holders (3 years) from Polytechnic in Computer Science/ Engineering. Experience: Knowledge in Server Administration/ LAN/ DBA/ Technical troubleshooting support in Hardware. Uploading shortlist of candidates for test/viva-voce: 25.12.2017. 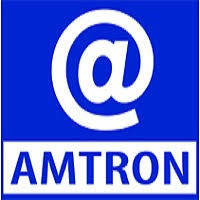 How to Apply: A candidate can apply online through website www.amtron.in. No other mode of application is acceptable. The online application can be uploaded following the typical steps as mentioned below. * Click on the link Recruitment and then click Apply Online against this Notification. * Register yourself into the portal. * Login using your Registration NO. Download Official Advertisement or visit www.amtron.in.